We all know that traditional cleanses are bad for you. Most scientific studies indicate that, not only do they not work in the long run, many actually damage people's health. According to Linda Bacon, PhD, "otherwise health-conscious citizens who subject themselves to deprivation diets […] unwittingly end up harming their health — and possibly even their hearts" (from How Crash Diets, Like the Master Cleanse, Harm Your Health and Your Heart). "Cleansing is […] based on nonsense and not credible scientific data. I always ask people what it is that is being cleansed from their body. They usually say 'toxins.' When I ask which toxins they mean, they usually list things like food additives, pesticide residues, and/or heavy metals. When I ask how these toxin reductions are being measured, they get confused. So the holes in cleansing [are…] that the toxins are typically ill-defined, and they are not being measured before and after." Even though the scientific community has come together to debunk the health claims of cleanses, they're still ridiculously popular. A Google search of "cleanse diet" brought up over 21 million results! People appear to be drawn to cleanses, and if that's what they want, there's a way to give it to them without endangering their health. 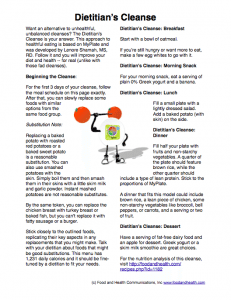 Offer a balanced alternative to the cleansing crowd with this free handout, The Dietitian's Cleanse. Inspired by an idea from Lenore Shamah, MS, RD, this "cleanse" is healthful, balanced, and won't endanger people's hearts. Lenore started thinking about a dietitian's cleanse in order to avoid losing clients to the cleanse fads. She emphasizes that this cleanse is a short-term thing that serves as an effective jump-start for healthful eating, helping people move away from calorie-dense food choices that are laden with sugar, fat, and sodium. 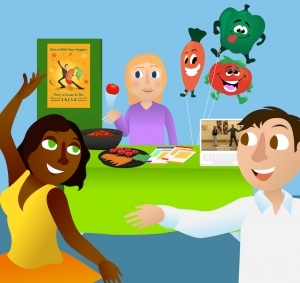 It's the perfect segue to a MyPlate-based diet, and it really seems to work. 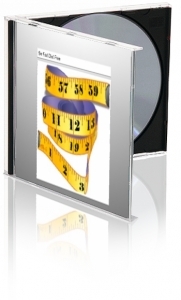 In fact, Lenore has had a 75% success rate with her clients so far with regards to being able to lose weight and keep it off for a year. 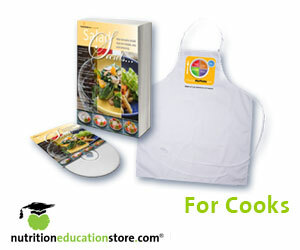 It cleanses them of mindless eating habits and helps them learn to plan and prepare healthful meals. Want to try it for yourself? Check out the preview below, then download a copy today! You can print it and give it to your clients, or send it in your next email blast. 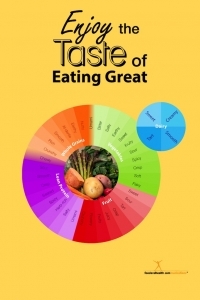 Want an alternative to unhealthful, unbalanced cleanses? The Dietitian’s Cleanse is your answer. 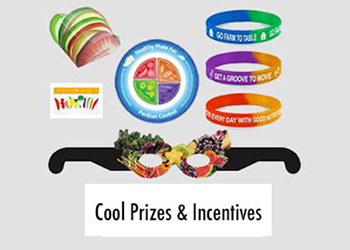 This approach to healthful eating is based on MyPlate and was inspired by an idea from Lenore Shamah, MS, RD, CDN. For the first 3 days of your cleanse, follow the meal schedule on this page exactly. After that, you can slowly replace some foods with similar options from the same food group. See a dietitian for your own calorie needs. Replacing a baked potato with roasted red potatoes or a baked sweet potato is a reasonable substitution. You can also use smashed potatoes with the skin. Simply boil them and then smash them in their skins with a little skim milk and garlic powder. Instant mashed potatoes are not recommended. By the same token, you can replace the chicken breast with turkey breast or baked fish, but you shouldn’t replace it with fatty meats or fried items. Stick closely to the outlined foods, replicating their key aspects in any replacements that you might make. Talk with your dietitian about foods that might be good substitutions. 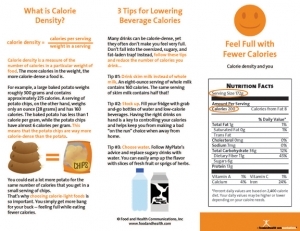 This menu has 1,394 daily calories and it should be fine-tuned by a registered dietitian to fit your needs. 1/2 cup oatmeal, 1 cup skim milk, 1/2 cup fruit or 1/2 cup cooked egg whites with sliced tomatoes and cucumbers. For snacks, eat a serving of plain 0% Greek yogurt and a banana. Or slice up some veggies. 3 ounces lean protein, 1 cup non-starchy vegetables, 1 cup salad, 1 cup fruit, 1 small baked potato (with the skin) and a little nonfat sour cream. PLUS 1 cup of salad with nonfat dressing or lemon juice. 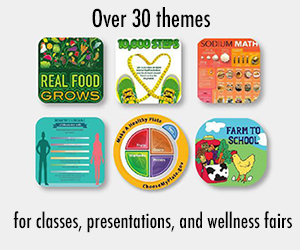 Stick to the proportions of MyPlate and learn to make a healthy MyPlate meal. If you get hungry, you can always have an egg white and non-starchy veggies. Be sure to cook the egg white with very little fat. Using a cooking oil spray and nonstick pan is essential. For the nutrition analysis of this cleanse, visit https://foodandhealth.com/recipes.php?id=1182. 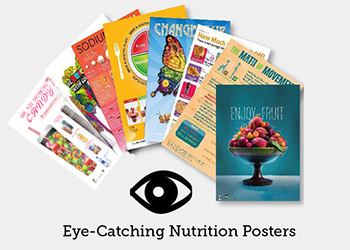 This is a general diet and needs the help of a registered dietitian to make it individualized for calorie and nutrient needs. 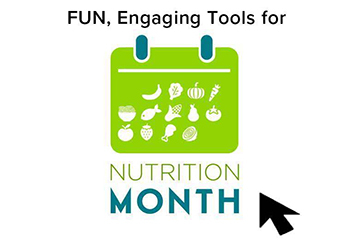 It is meant to be a 2-3 day learning experience to segue to a healthy diet based on the Dietary Guidelines for Americans and MyPlate. Did you like that preview? If you did, then get the handout now! "I think we all learned about the digestive track somewhere along the way in our education. And one thing about it, it is self-cleansing! One does not need to do a thing to cleanse one's digestive tract. Unless one's kidneys are on the blink, or one is constantly constipated, the body has a built in self cleansing system where all "toxins" or unnecessary compounds are eliminated in urine and feces. With respect to research, research shows that foods with lots of fiber result in larger, wetter stools, which are easier to eliminate. Natural products like prune juice can help. If there is something wrong with one's digestive tract, the recommended action is to see an MD, not to use a cleanse, which can be harmful in certain situations." Help your clients make the healthful choice and skip dangerous cleanses. Offer this balanced alternative instead! 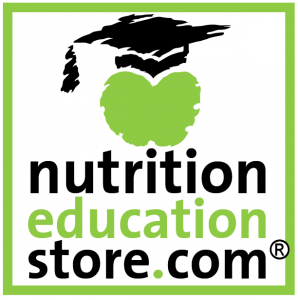 If you liked these resources, try some of the most popular options from the Nutrition Education Store! And if there's anything that you'd like us to make just for you, let us know and we'll get right on it!